I think MaMa was making these for a special breakfast treat for herself. Little did she know that my little brother and I would like them so much. 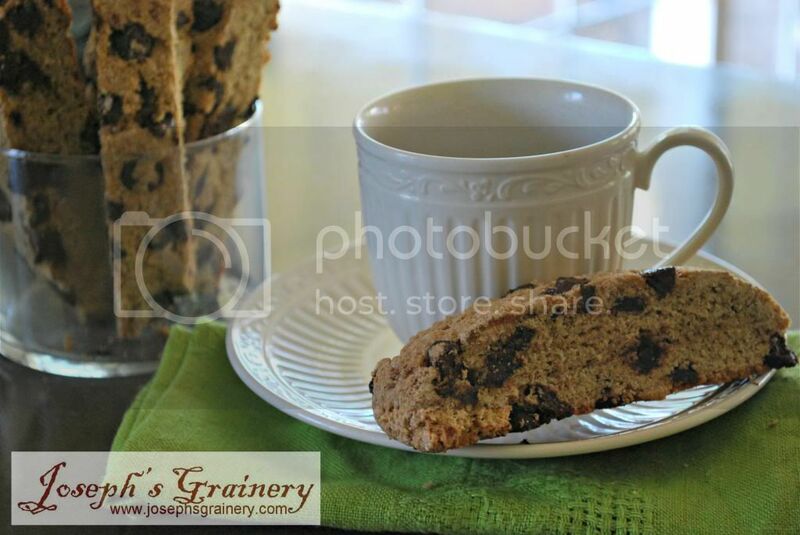 I call them hard cookies, she calls them Whole Wheat Chocolate Chip Biscotti. She says they are for dipping in your coffee. I say they are for dipping in your milk, because I don't want to stunt my growth, and I just don't find the appeal in coffee, yet. 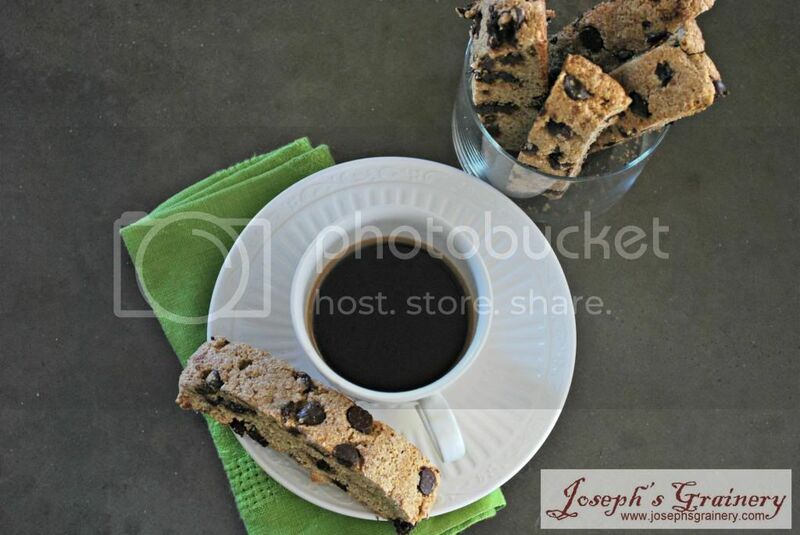 Either way, these whole wheat biscotti are a breakfast treat your whole family will enjoy. A tasty treat for breakfast (or anytime). Form the dough into a log and lay on a silpat or parchment paper covered baking sheet, pressing the logs out flat and evenly. If you want small biscotti, make sure you do long and narrow logs. Lower the temperature to 250 degrees and bake again for 25 minutes.